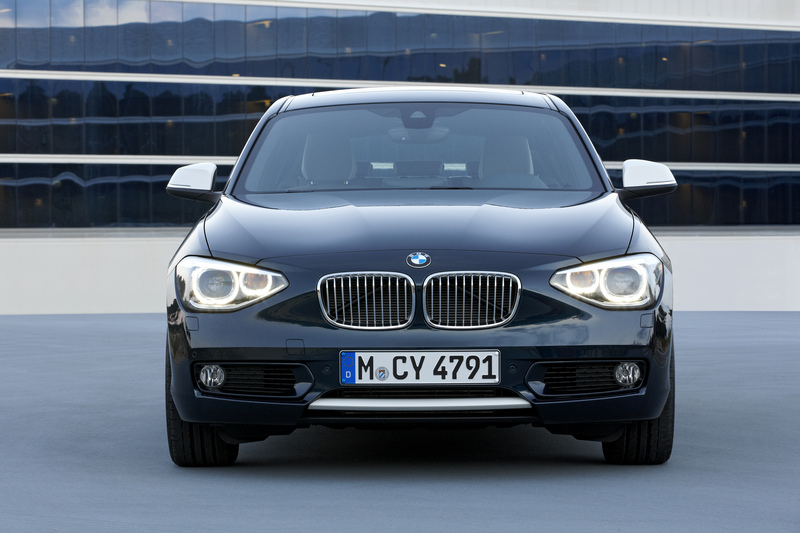 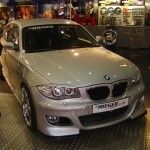 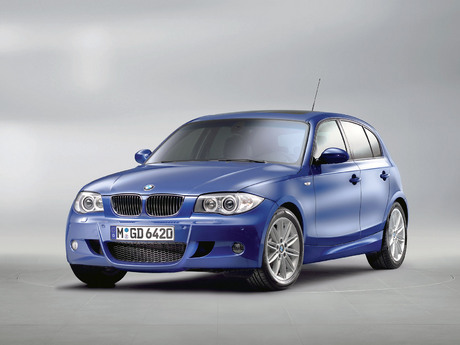 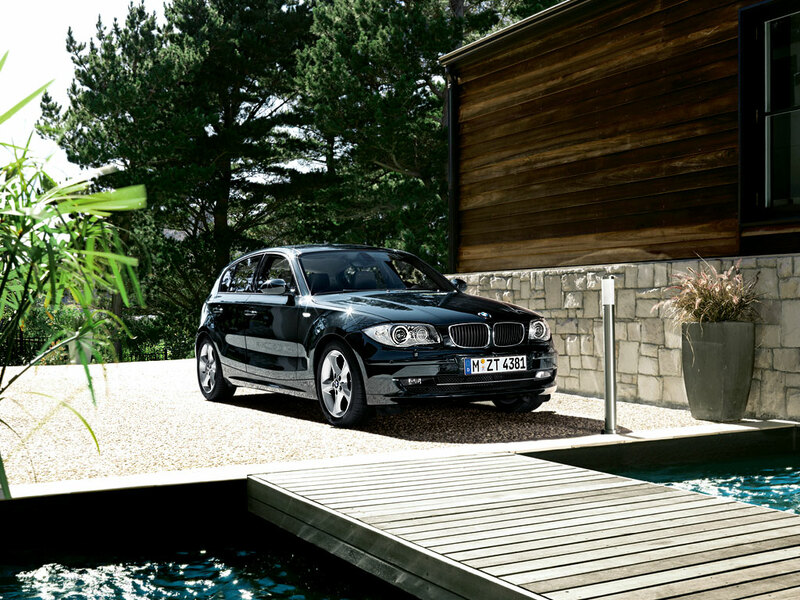 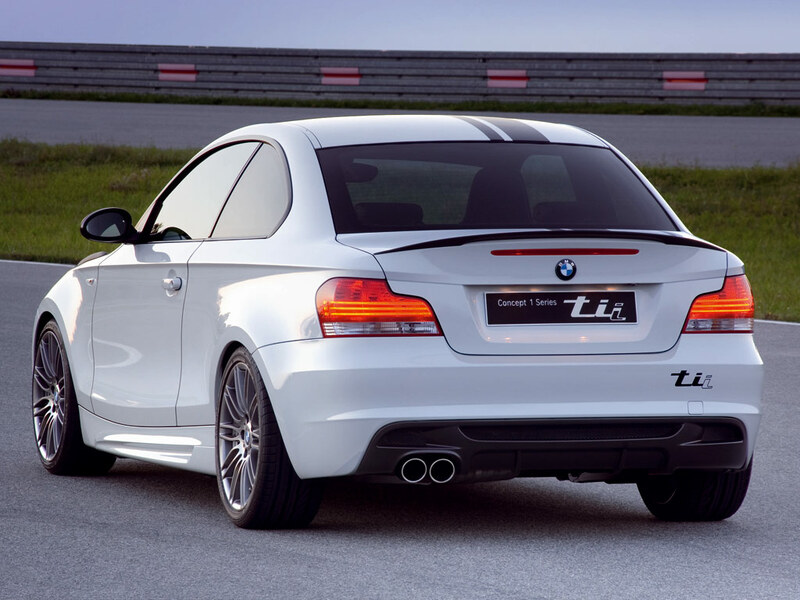 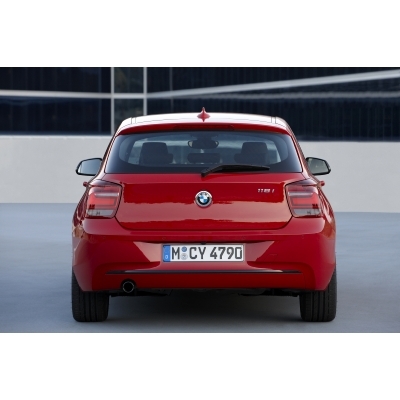 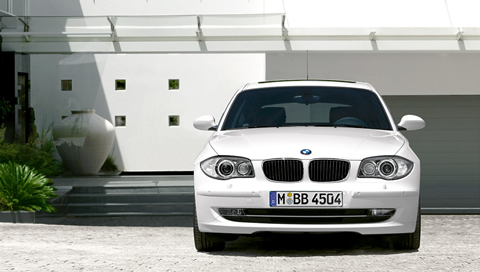 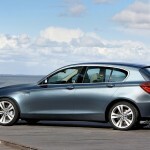 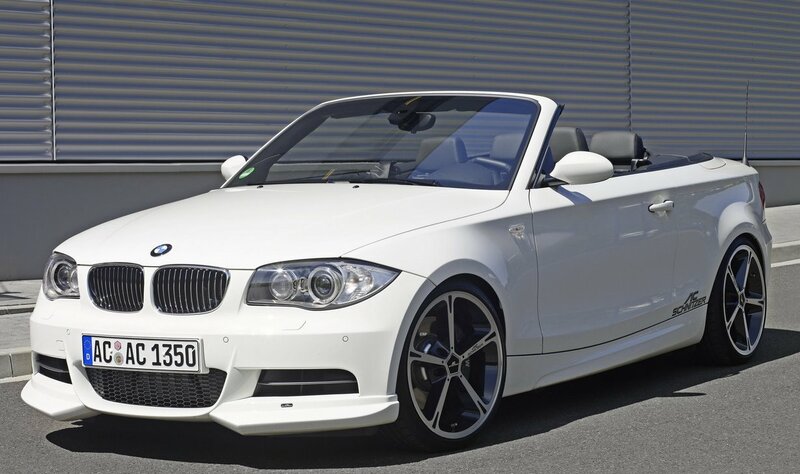 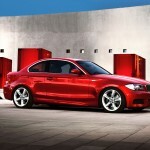 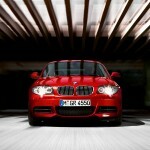 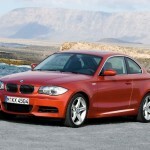 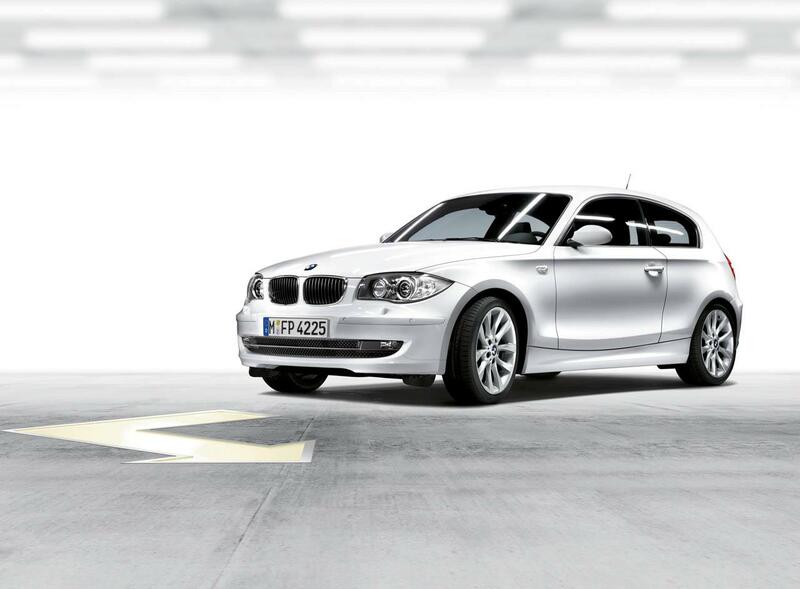 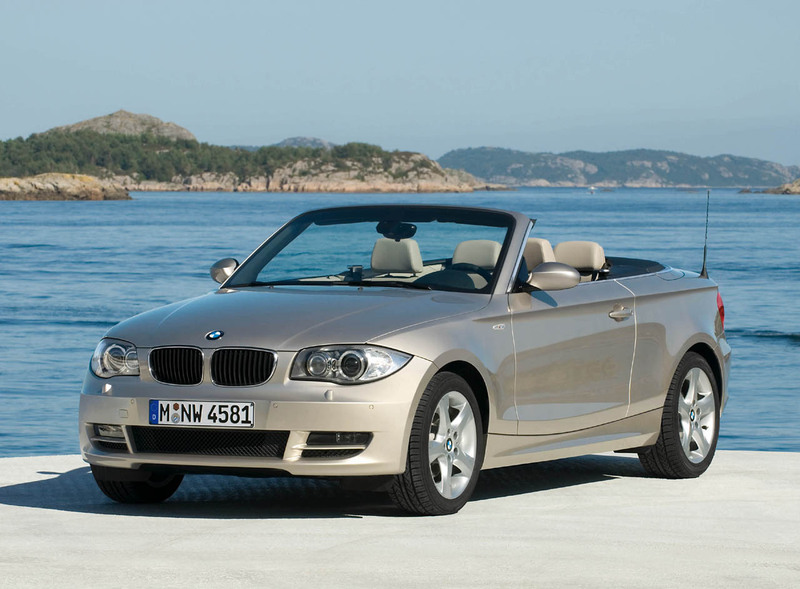 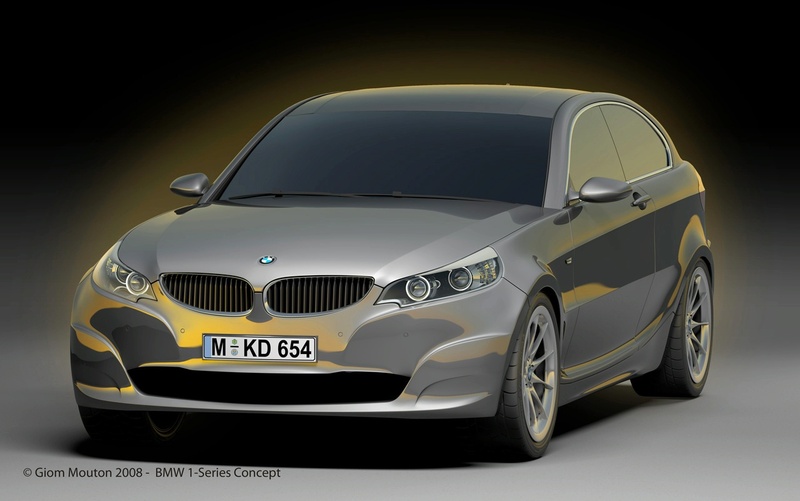 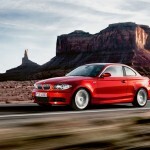 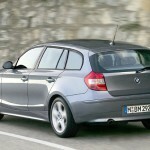 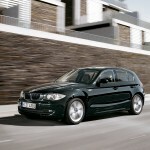 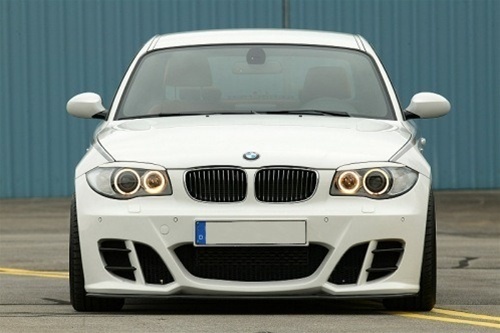 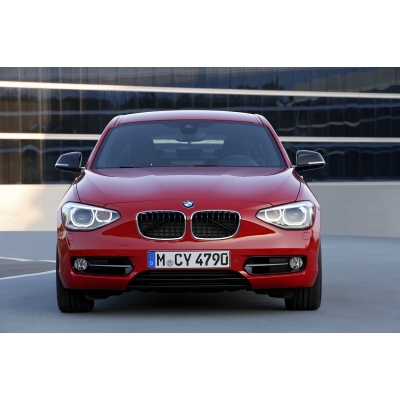 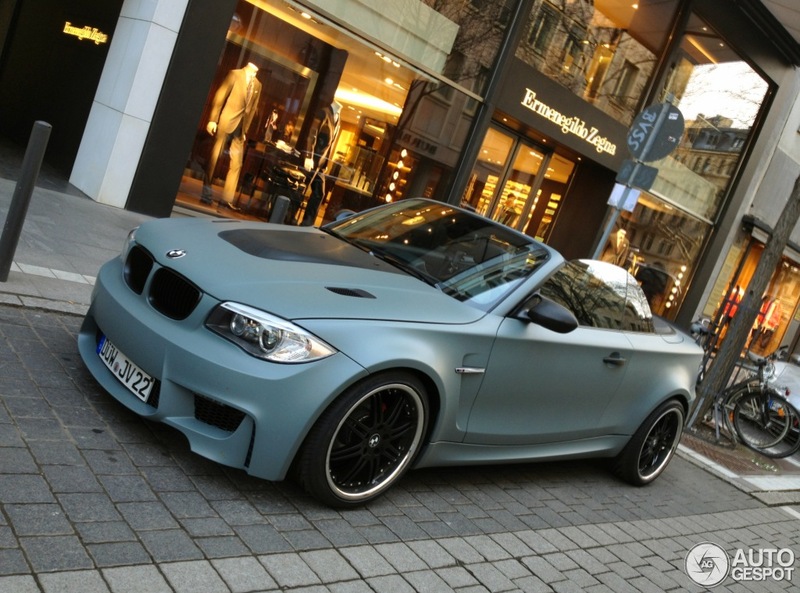 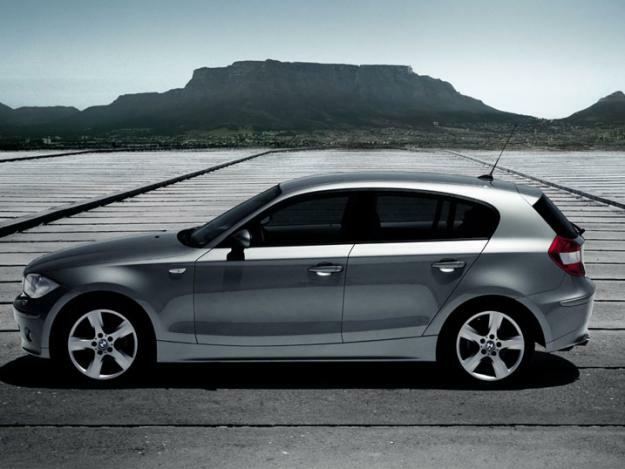 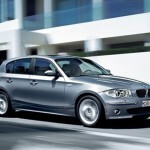 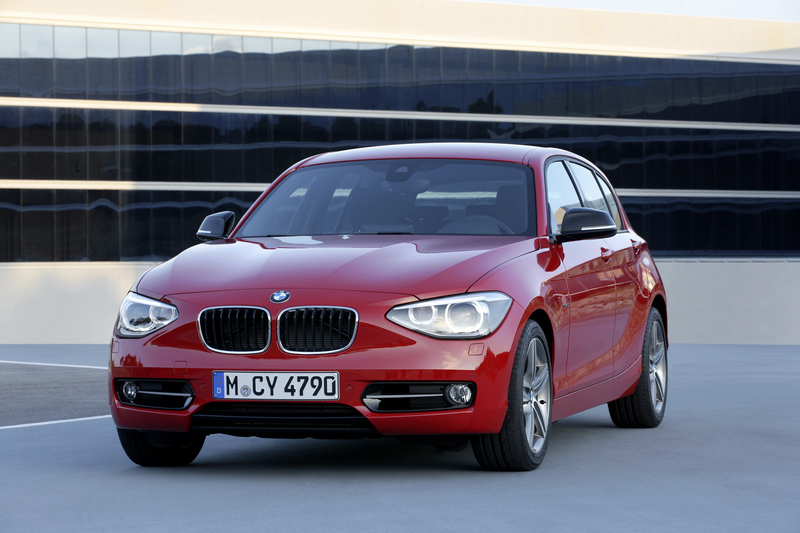 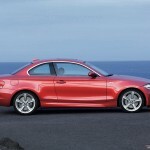 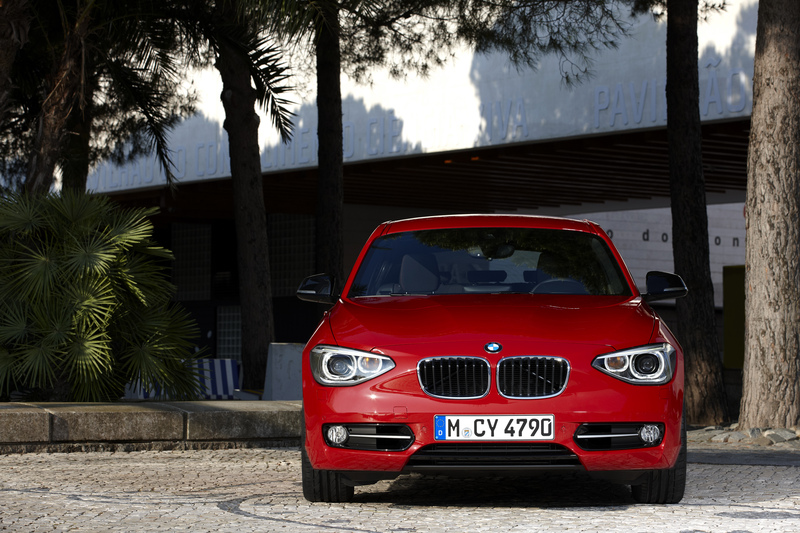 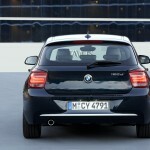 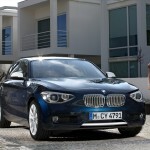 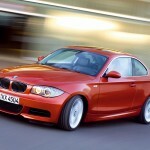 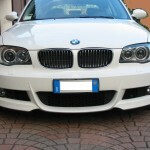 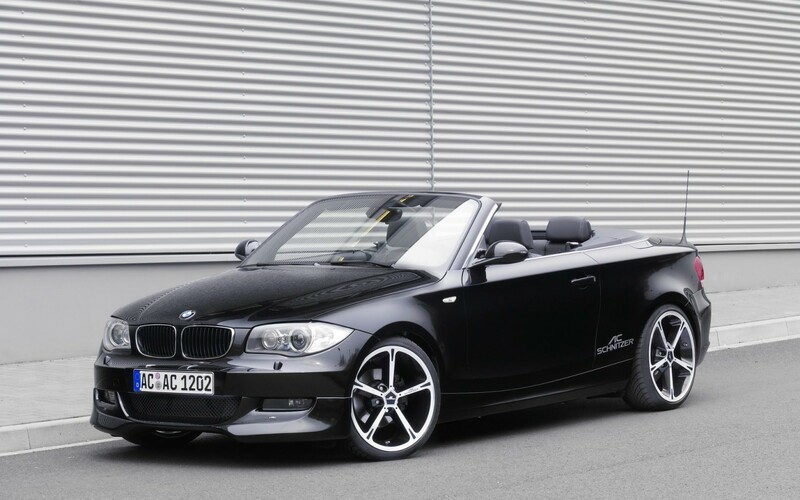 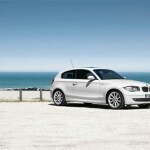 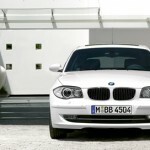 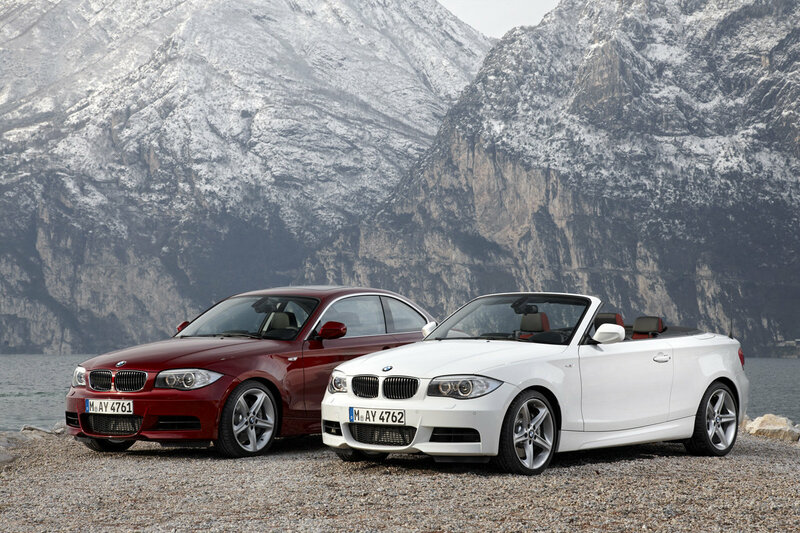 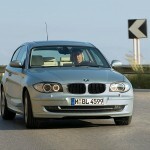 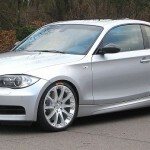 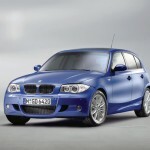 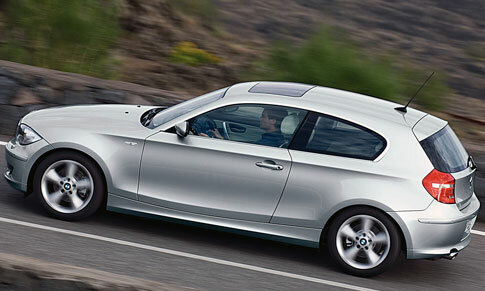 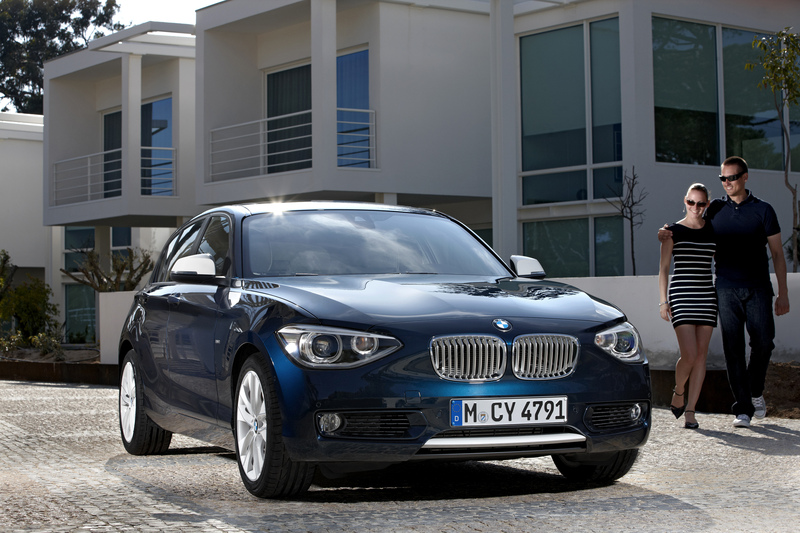 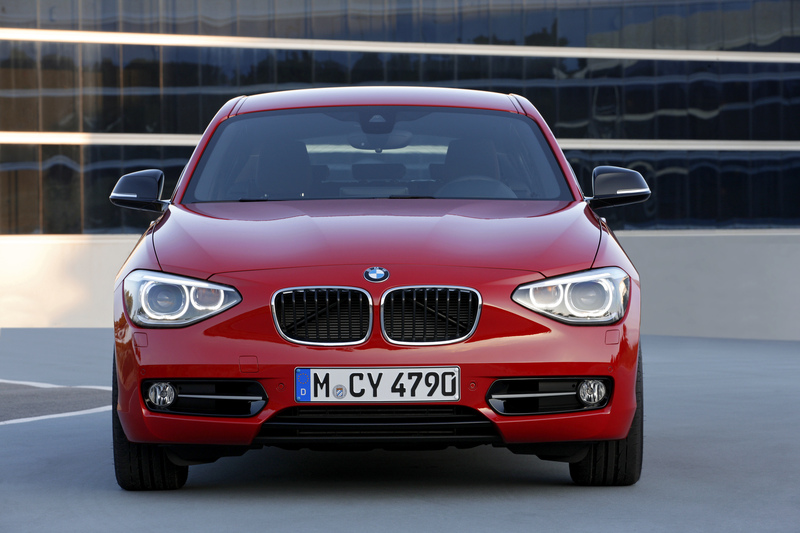 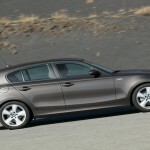 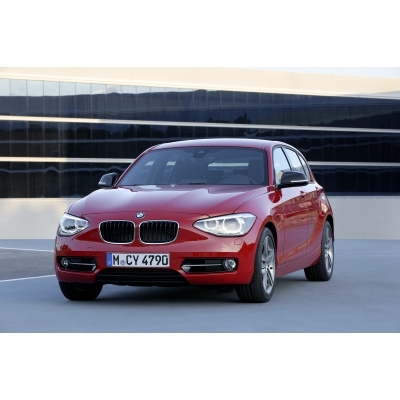 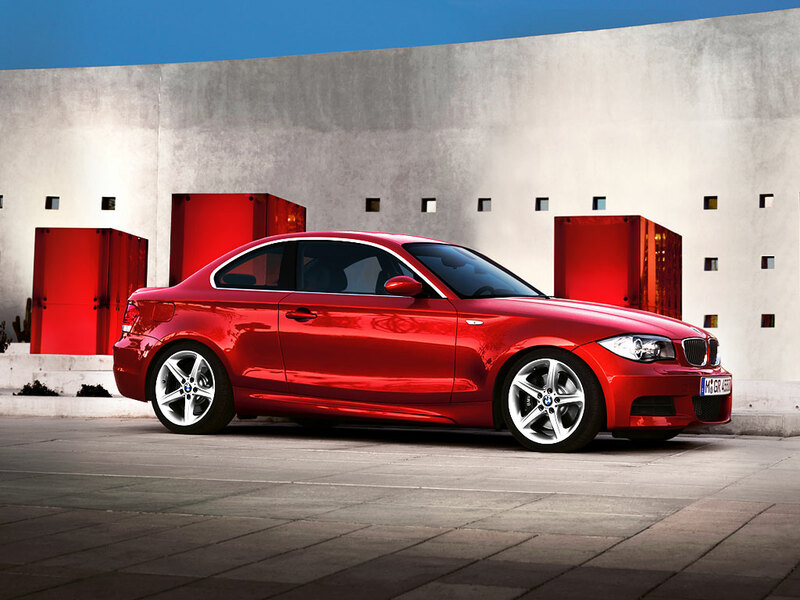 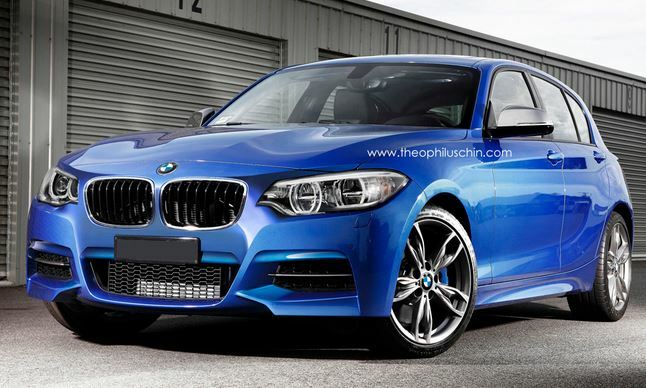 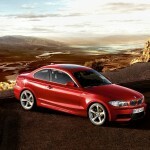 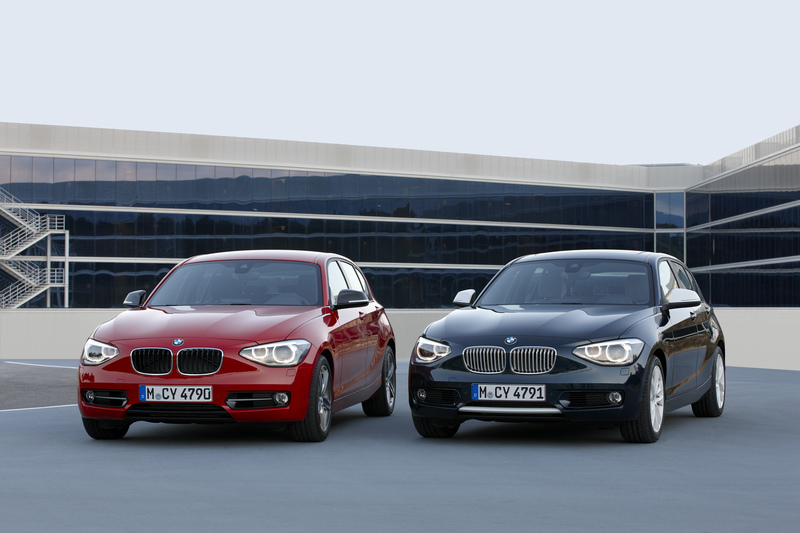 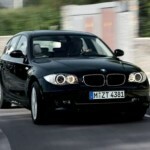 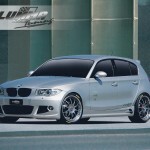 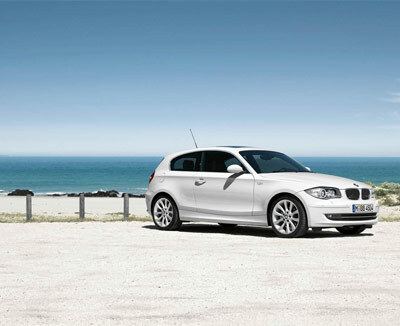 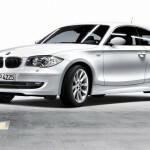 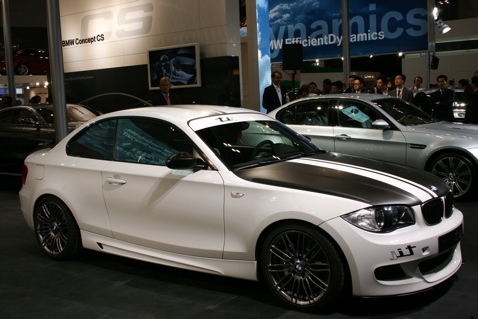 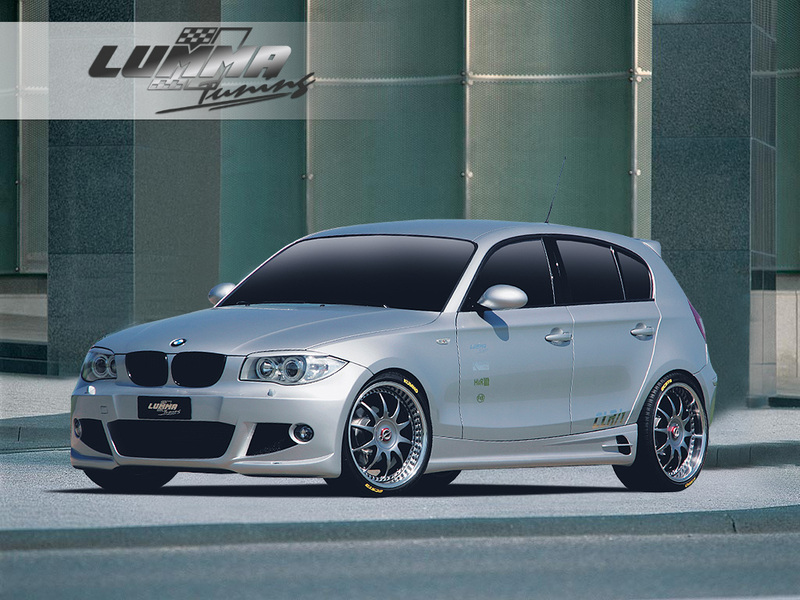 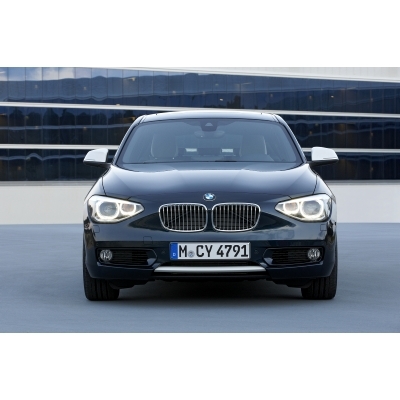 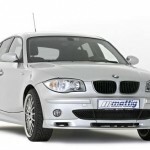 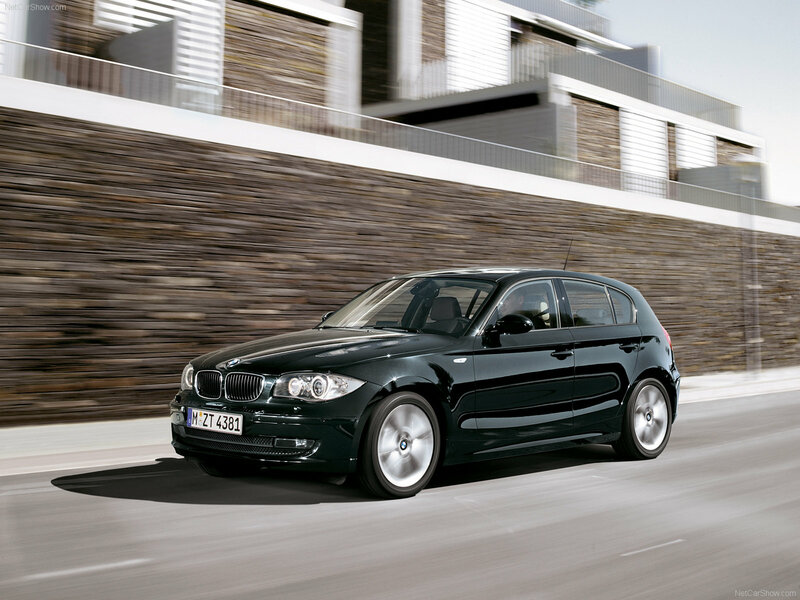 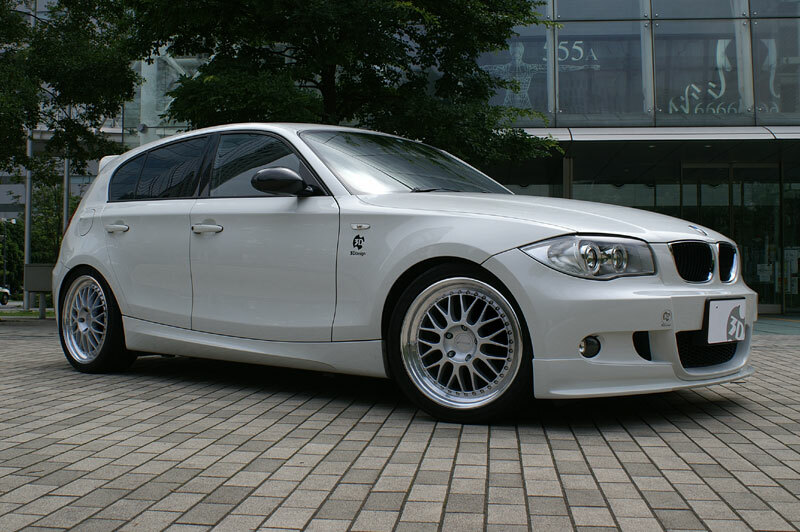 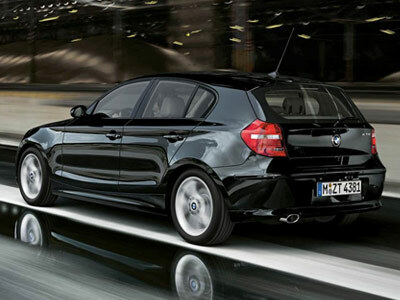 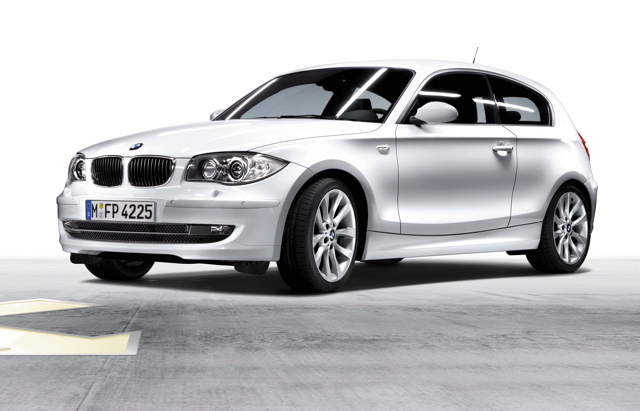 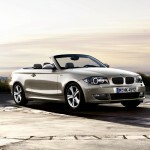 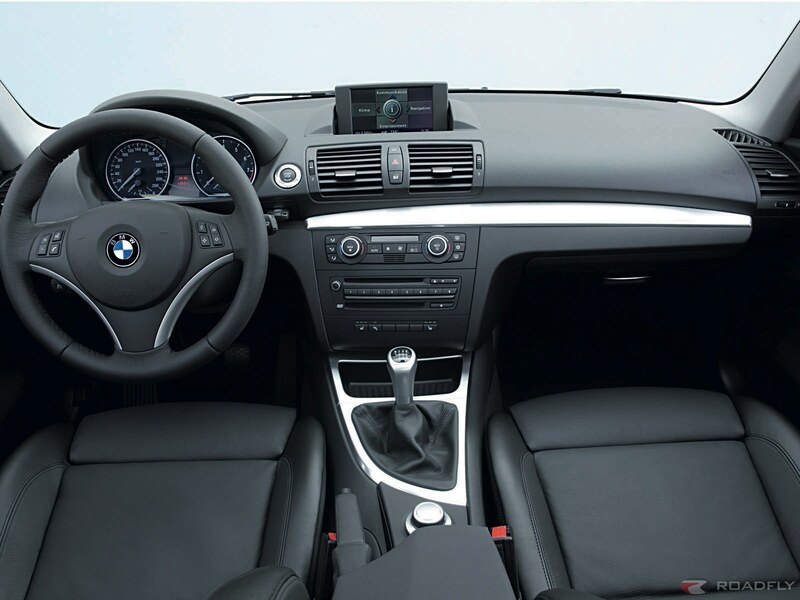 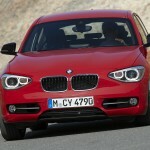 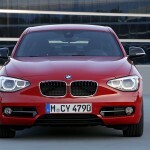 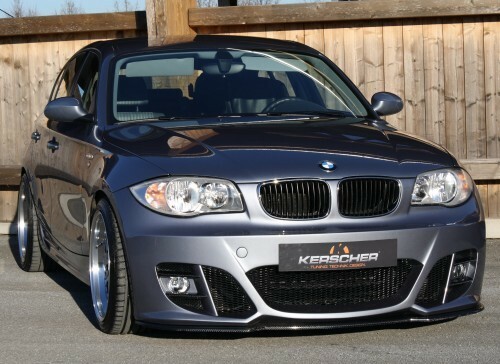 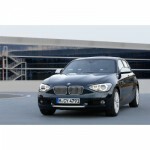 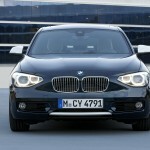 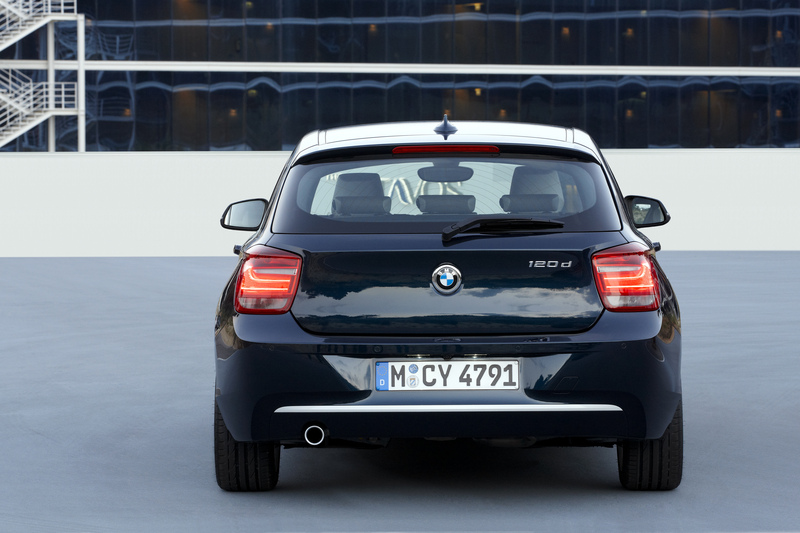 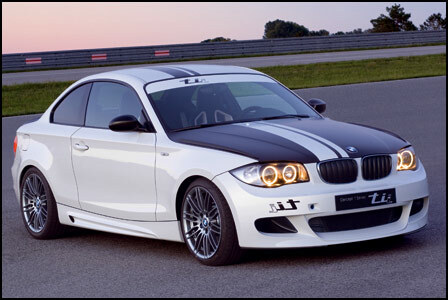 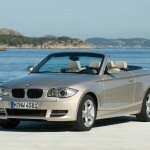 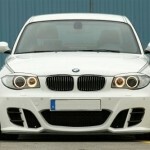 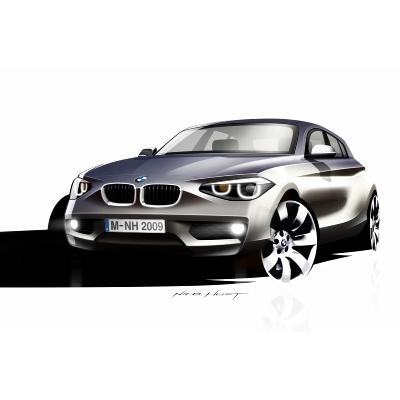 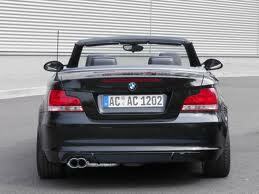 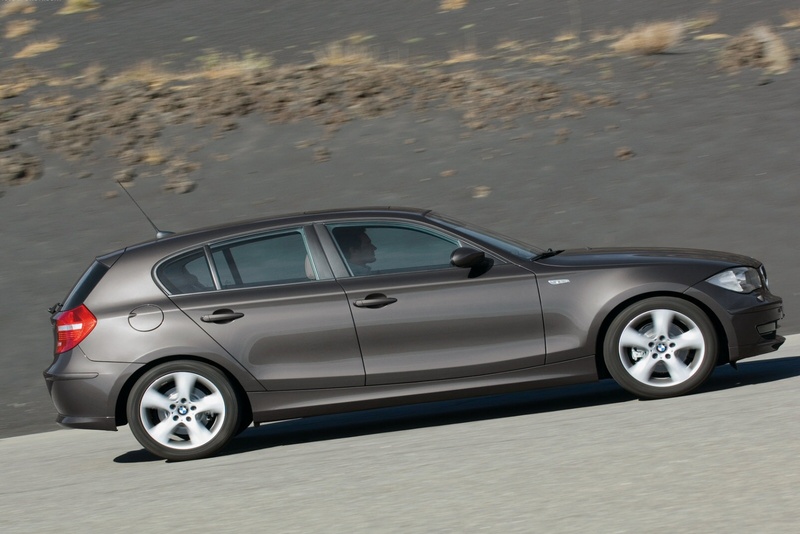 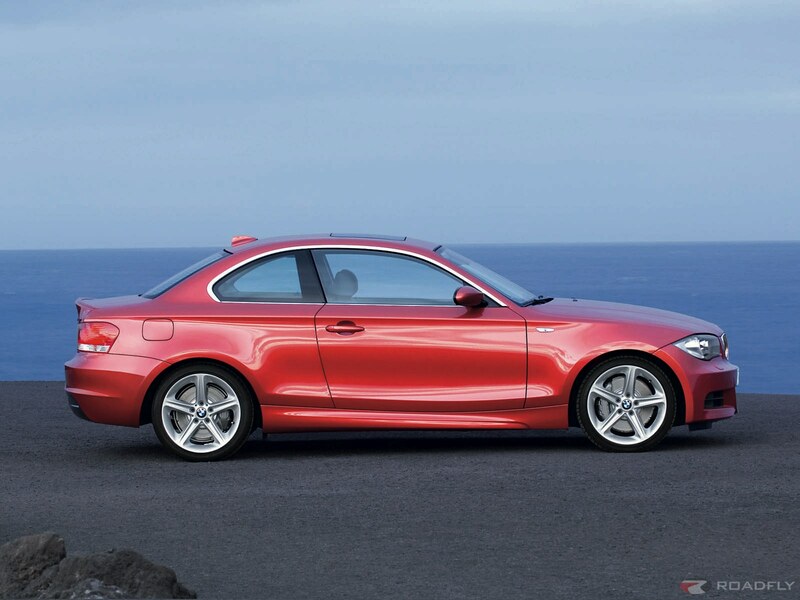 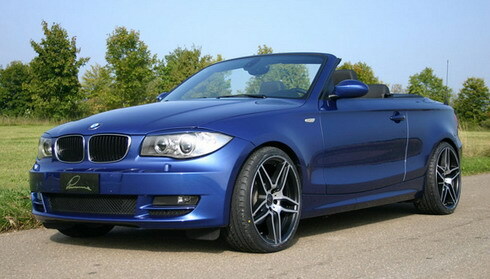 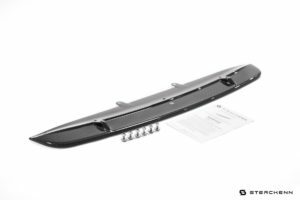 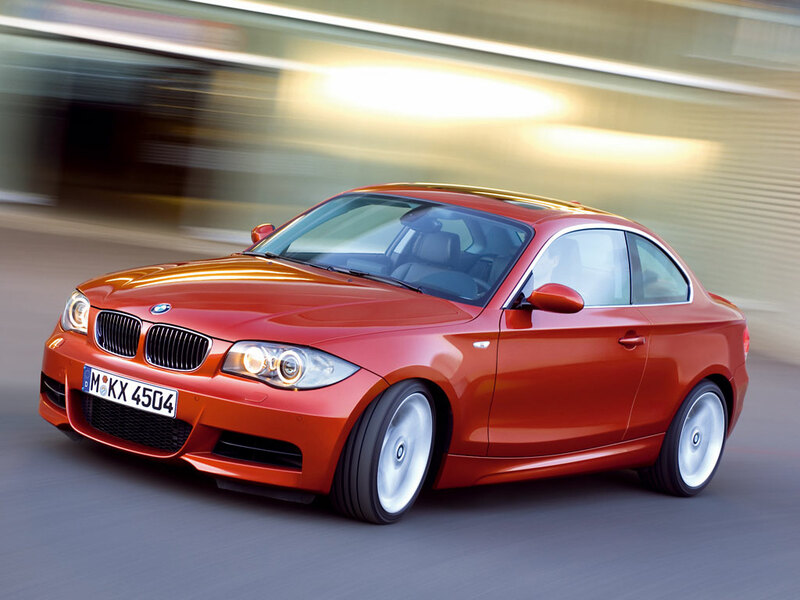 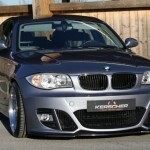 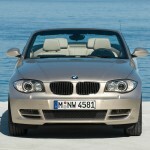 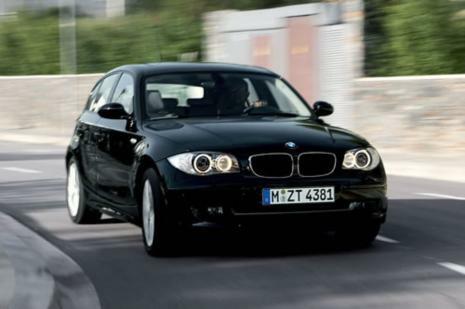 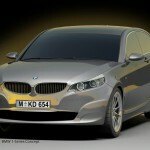 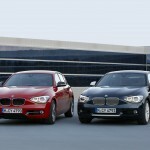 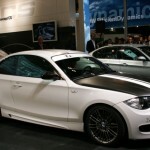 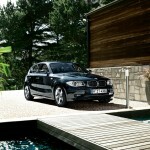 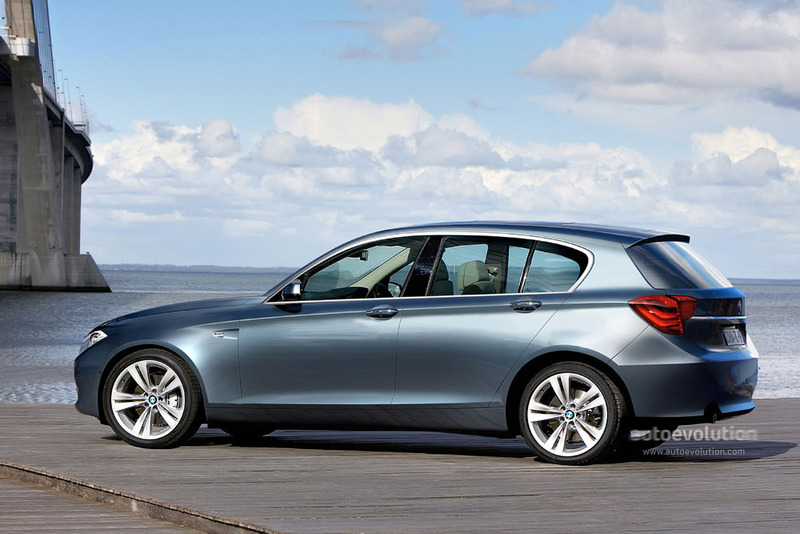 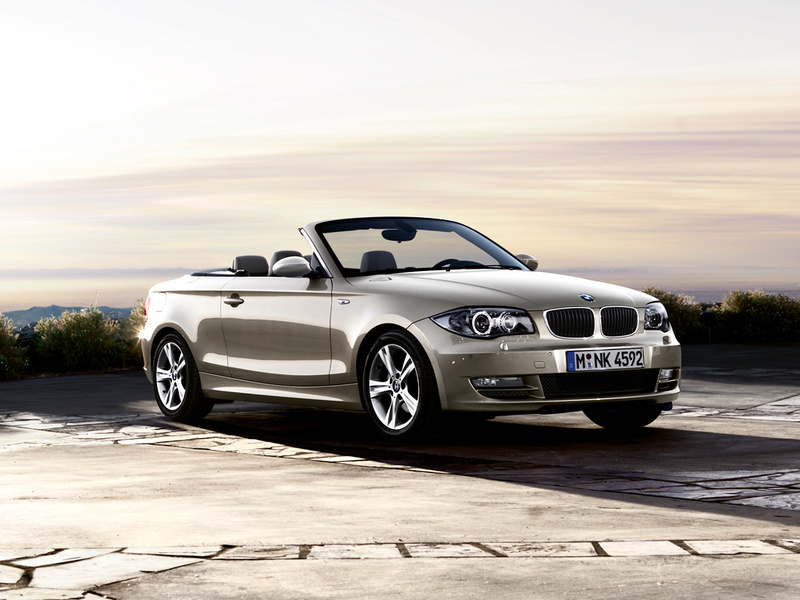 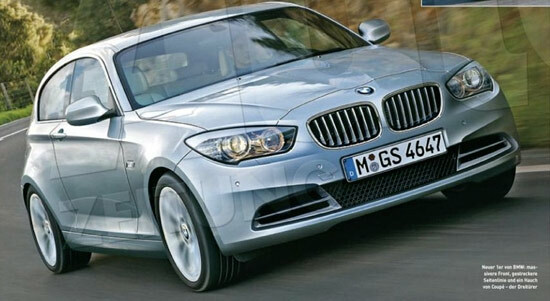 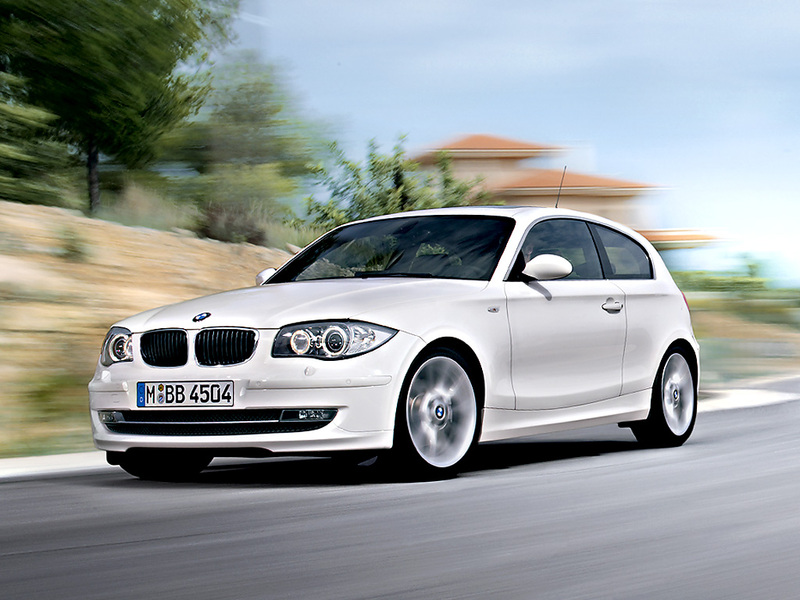 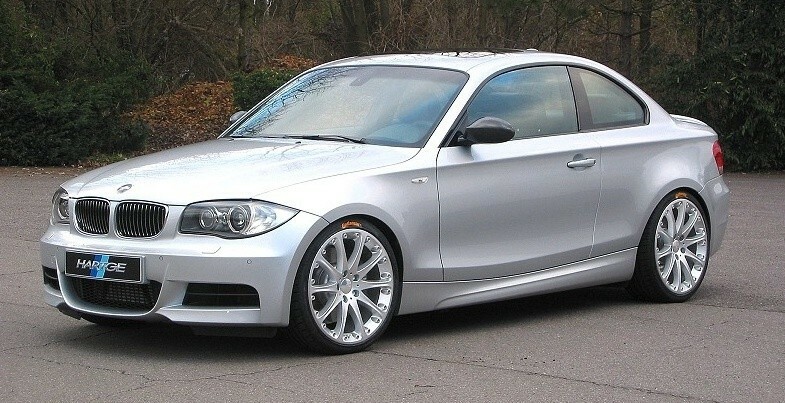 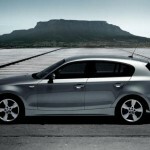 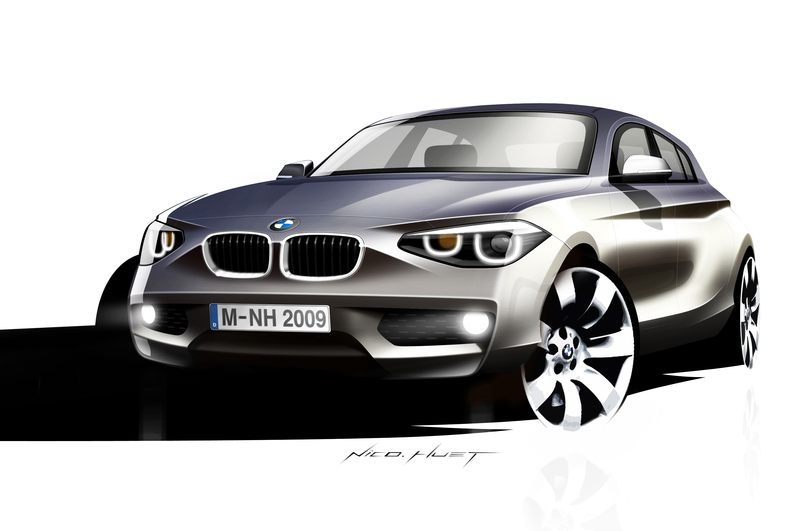 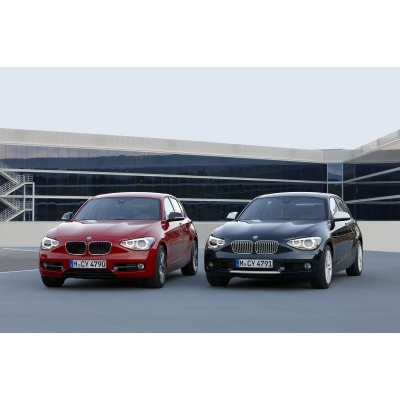 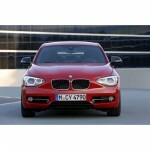 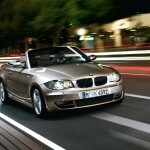 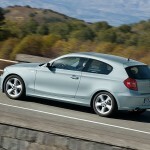 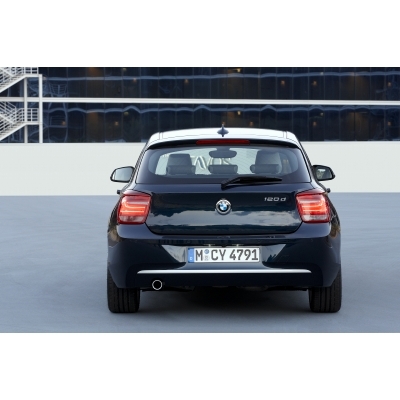 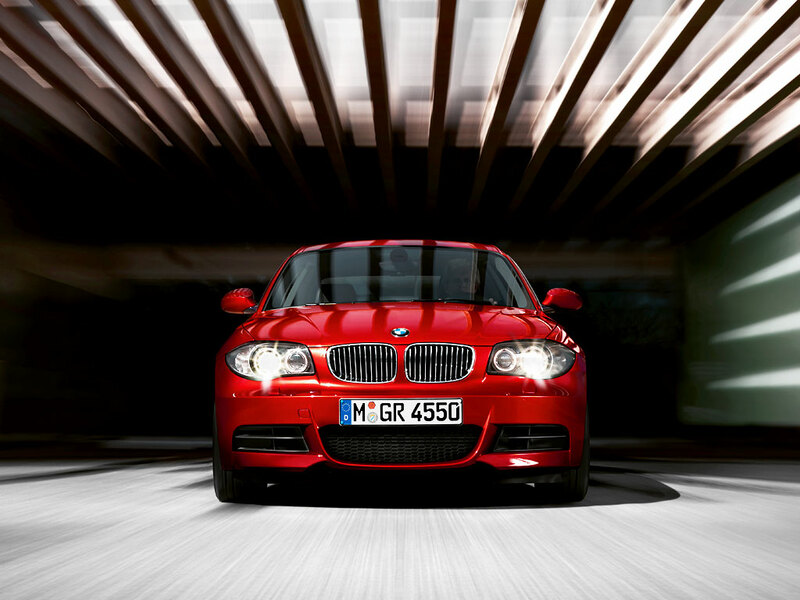 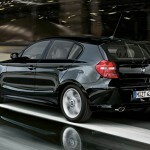 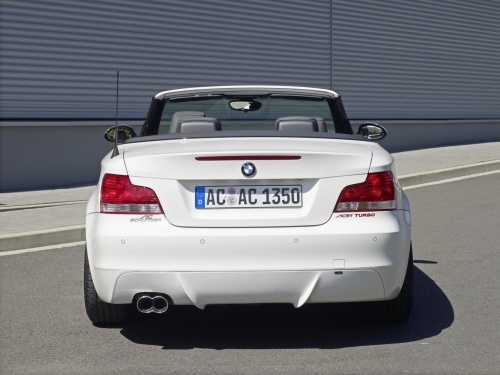 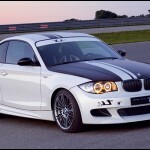 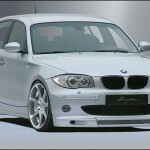 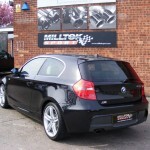 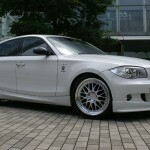 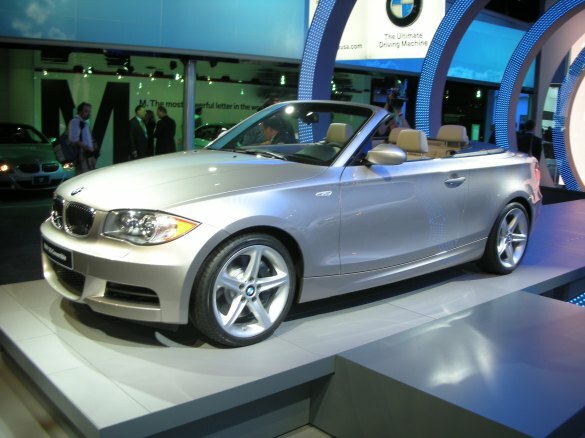 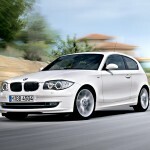 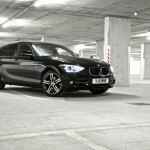 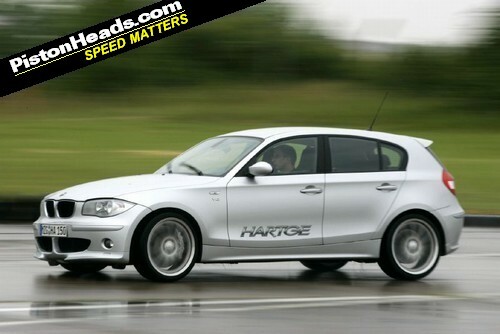 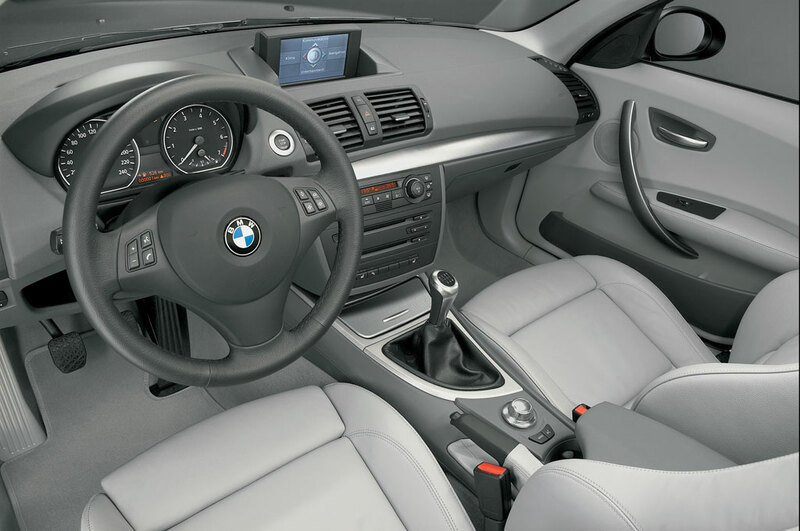 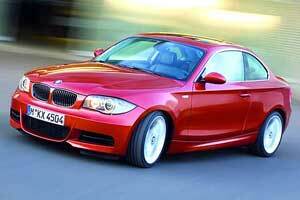 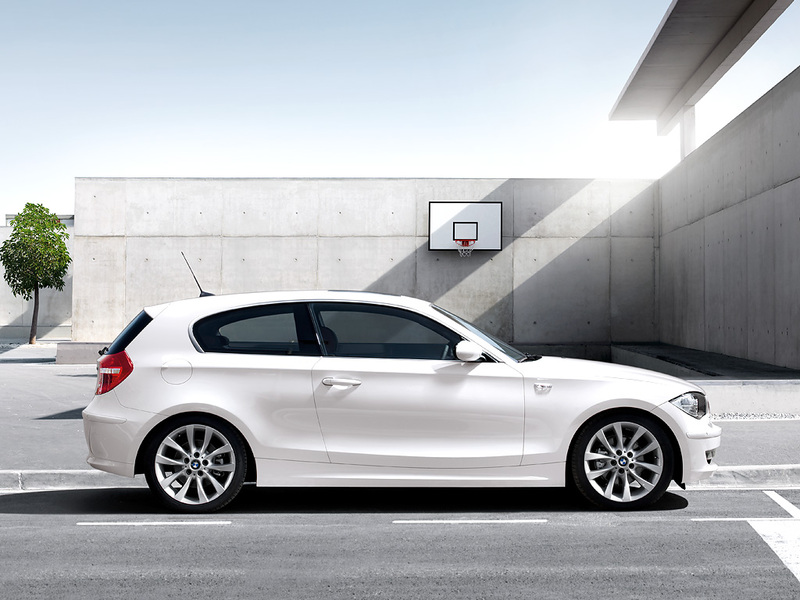 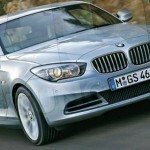 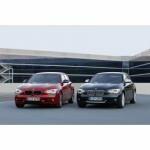 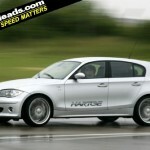 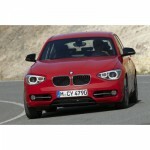 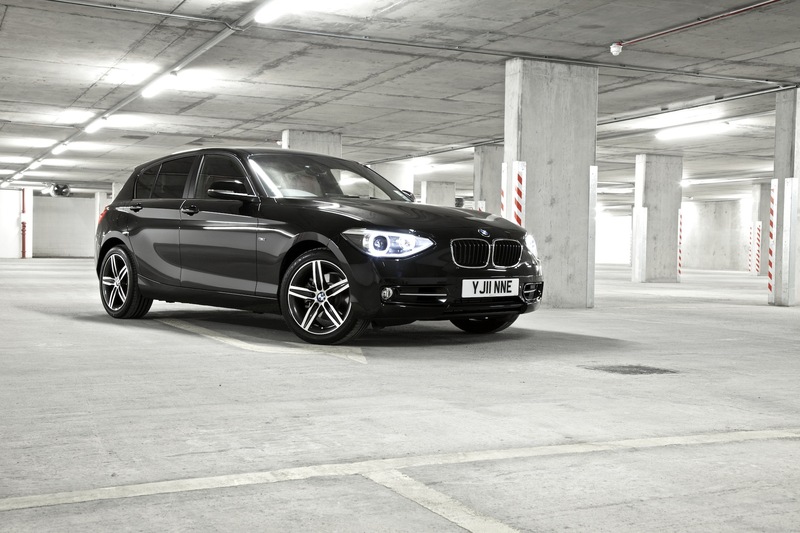 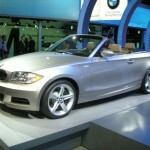 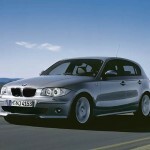 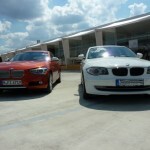 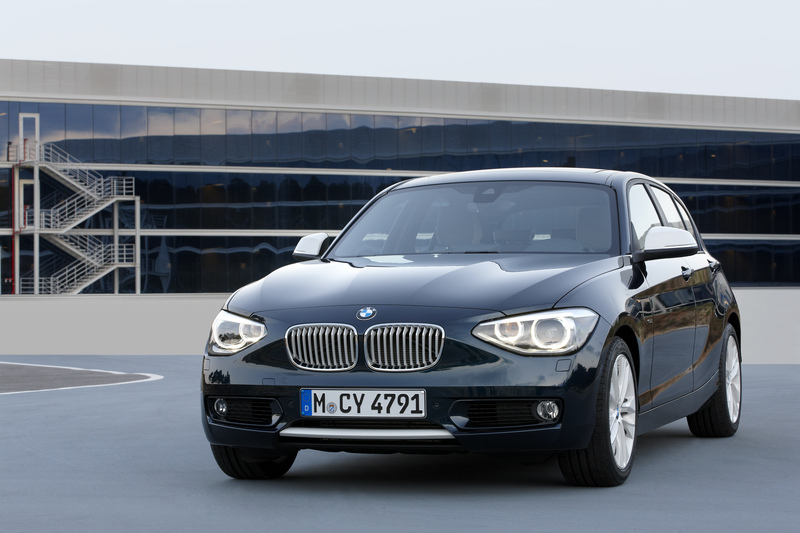 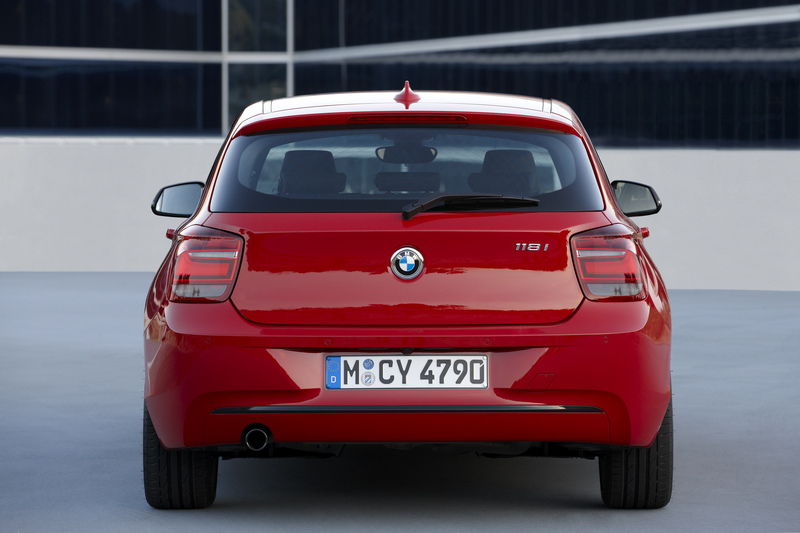 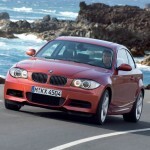 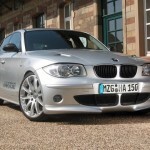 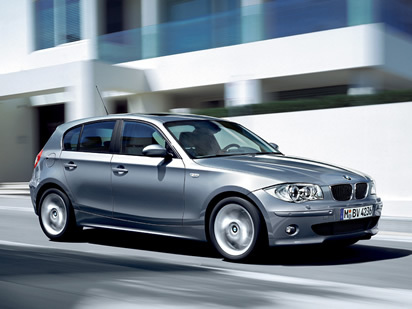 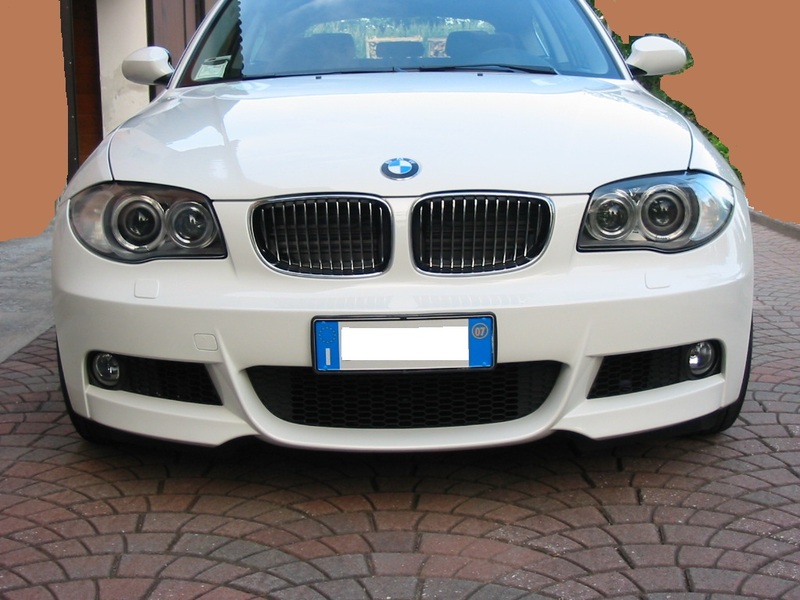 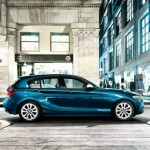 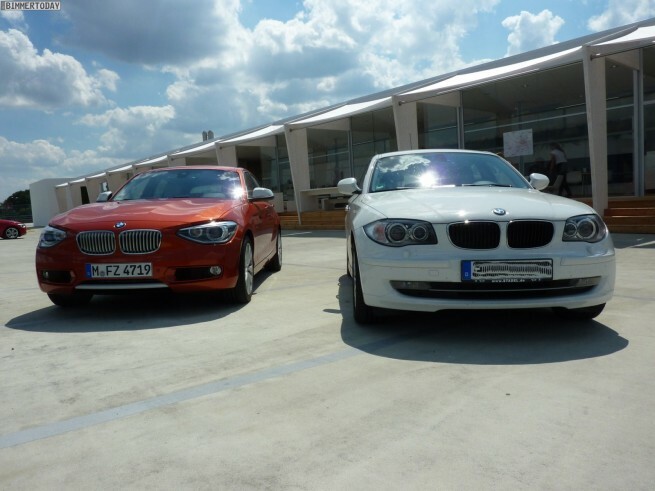 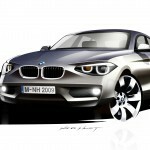 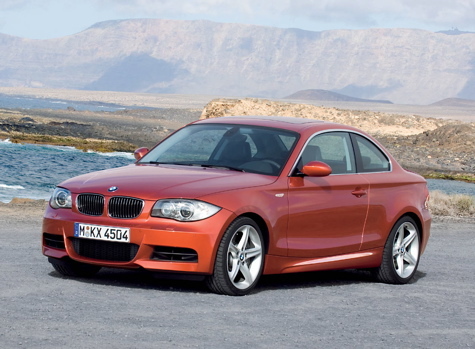 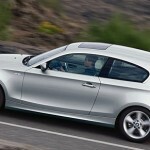 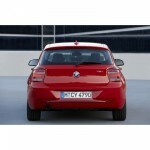 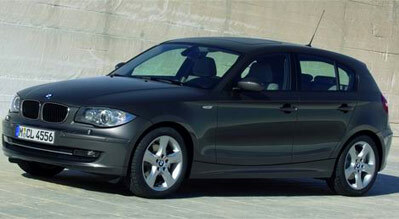 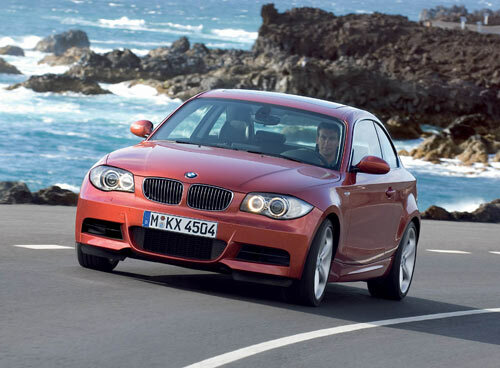 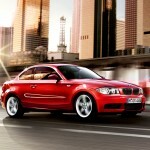 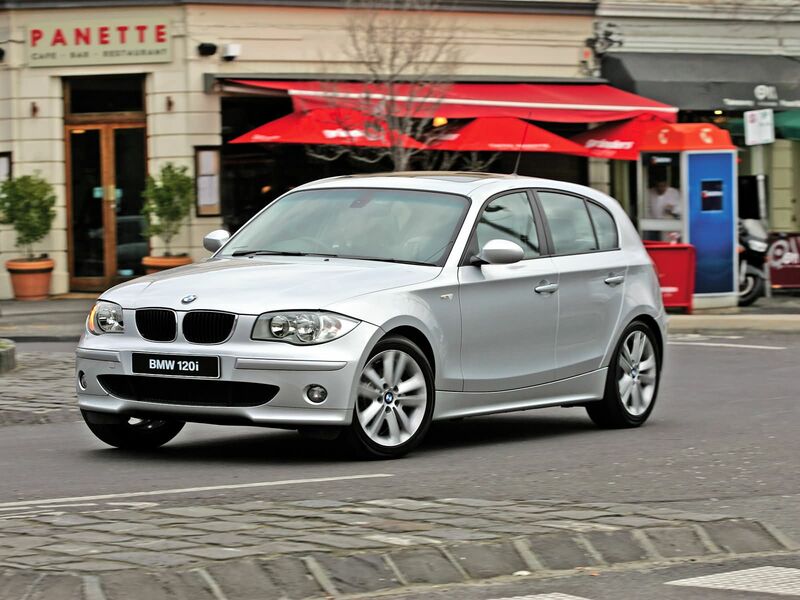 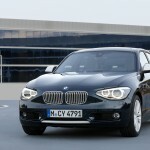 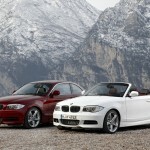 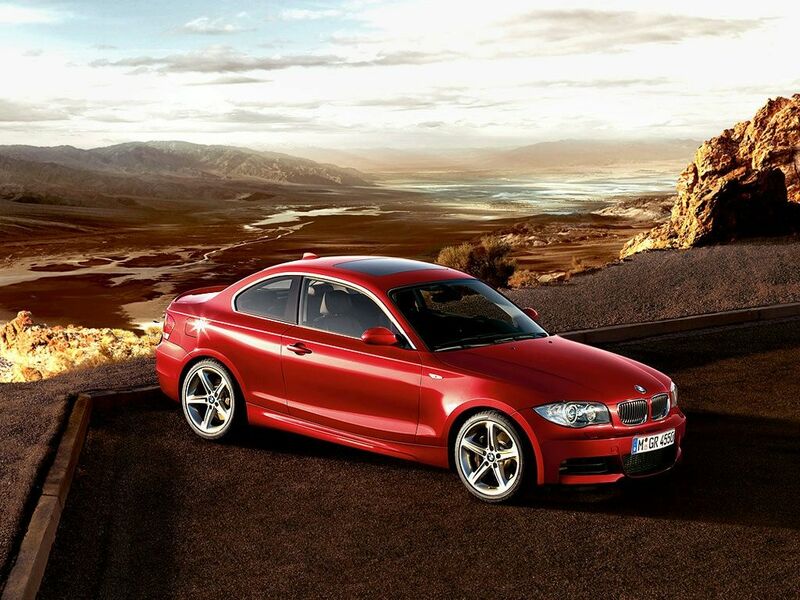 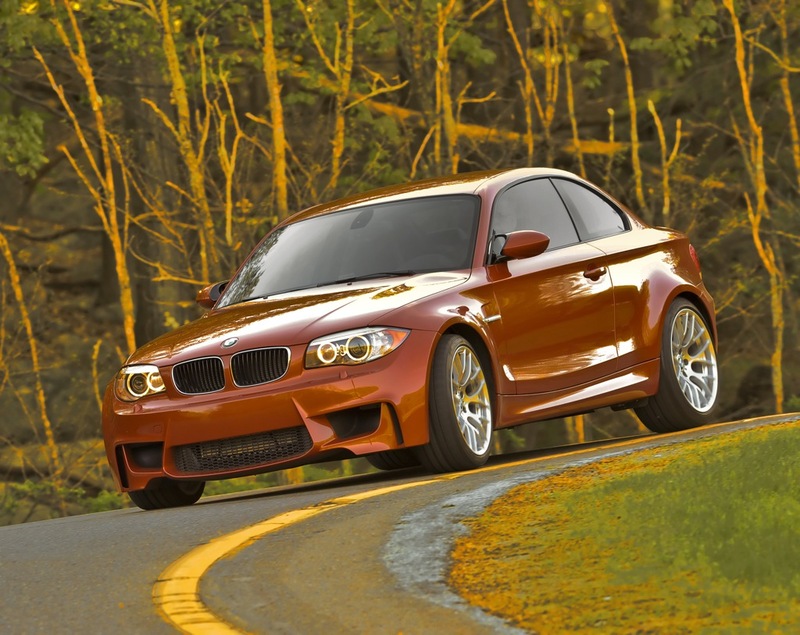 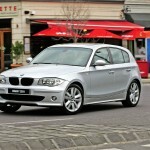 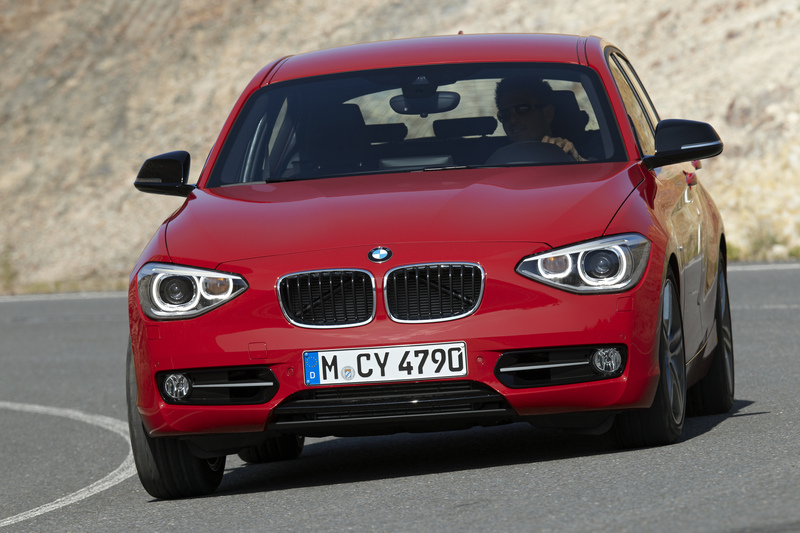 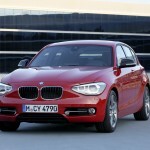 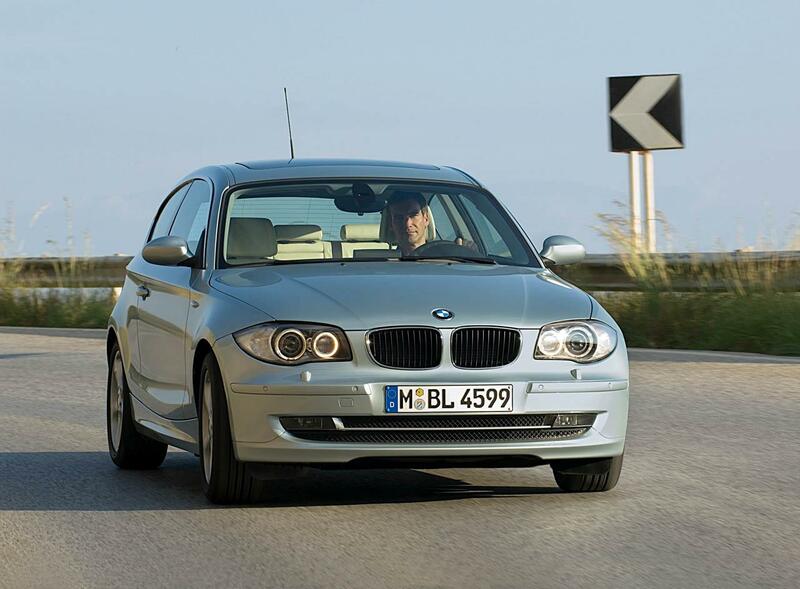 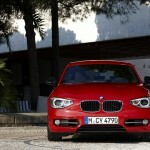 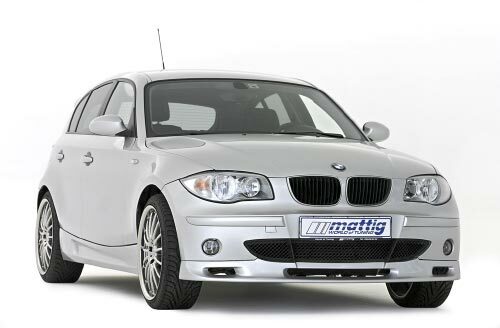 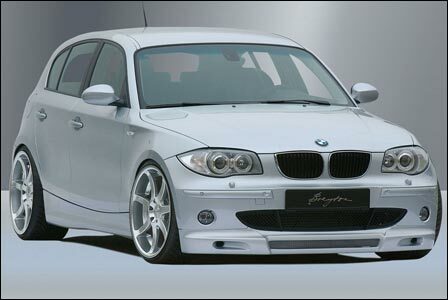 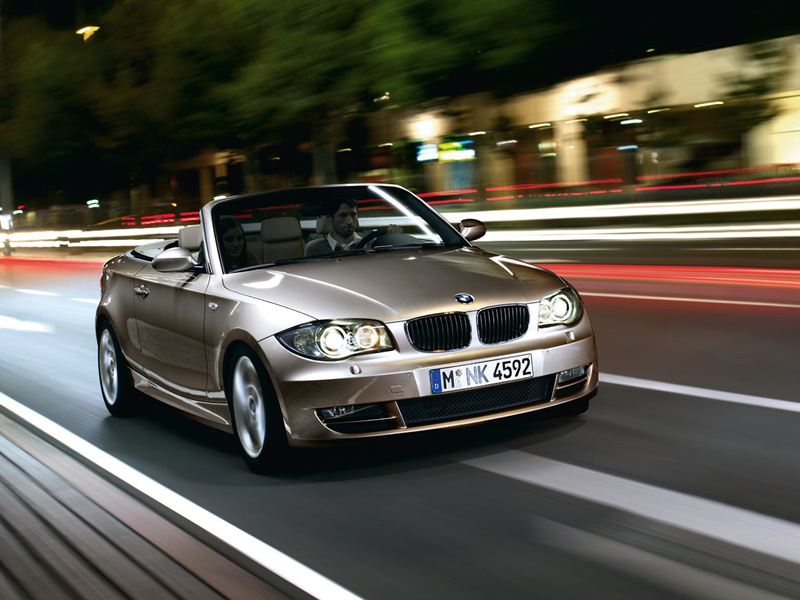 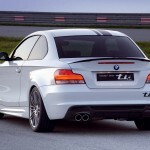 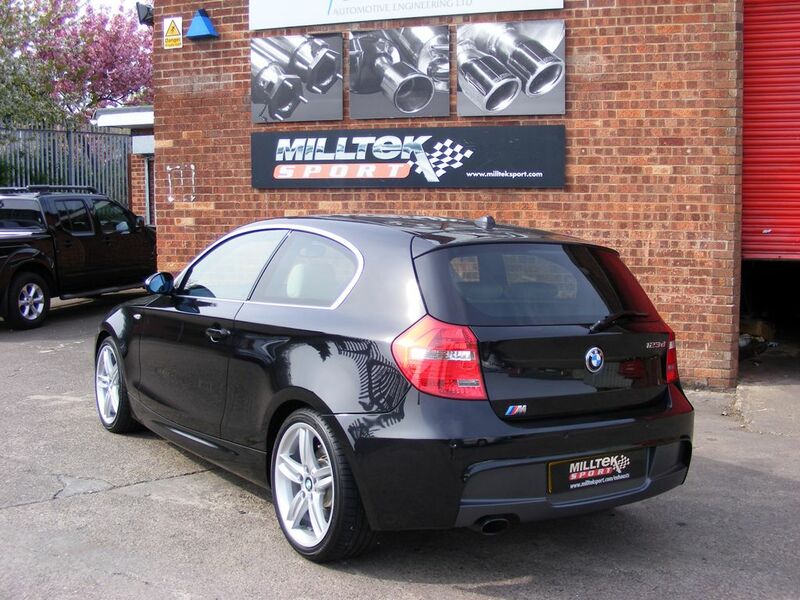 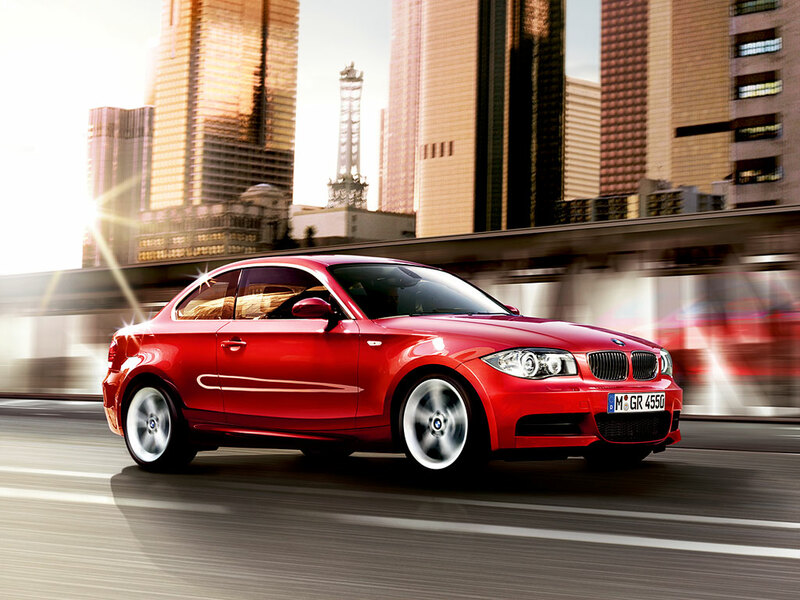 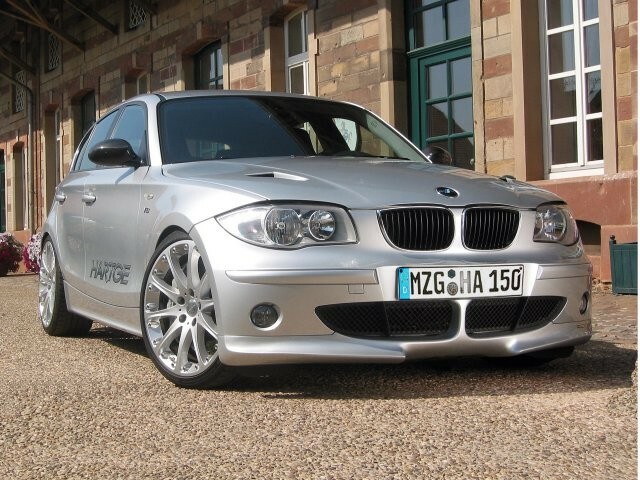 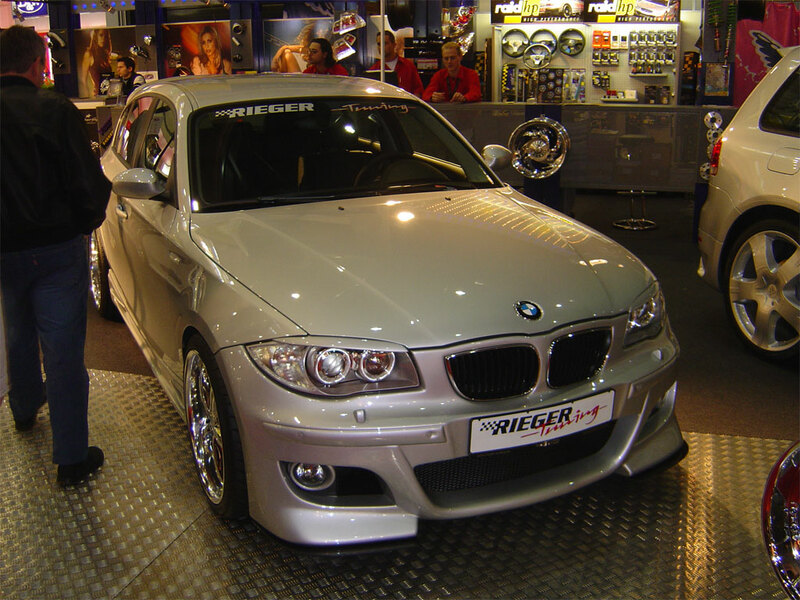 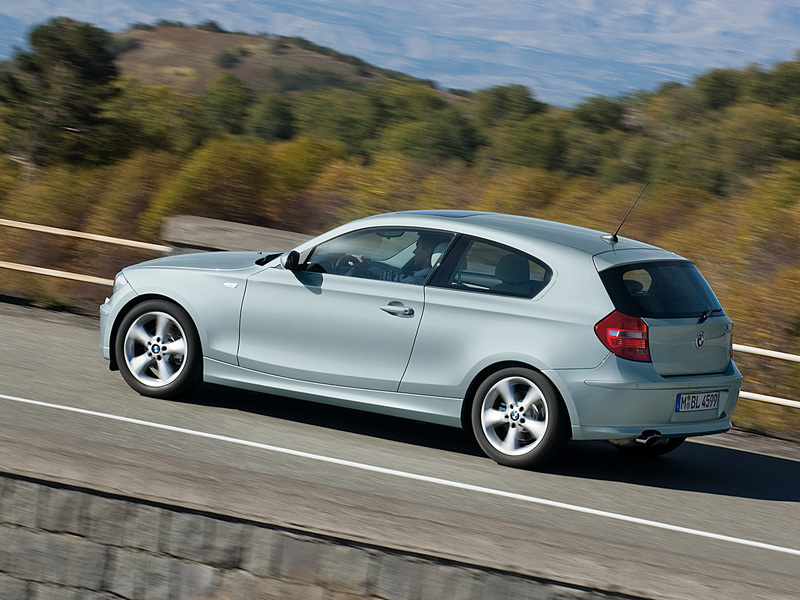 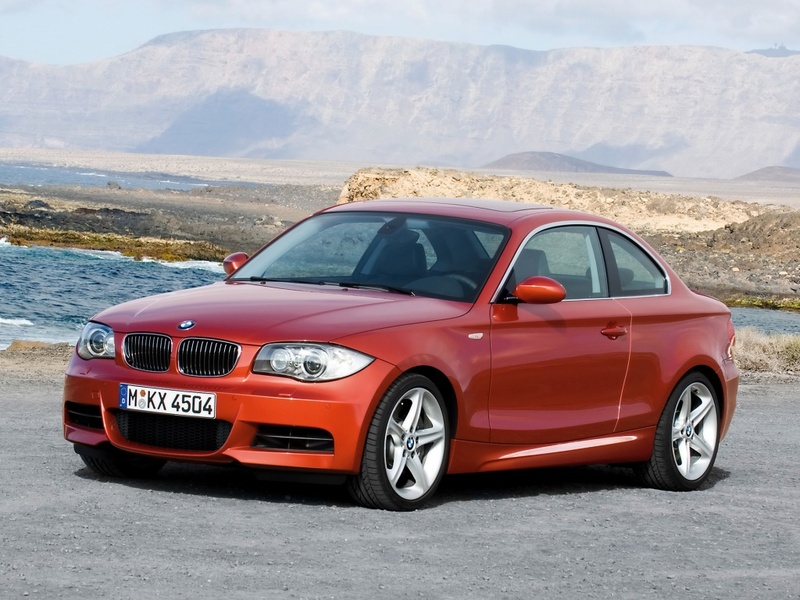 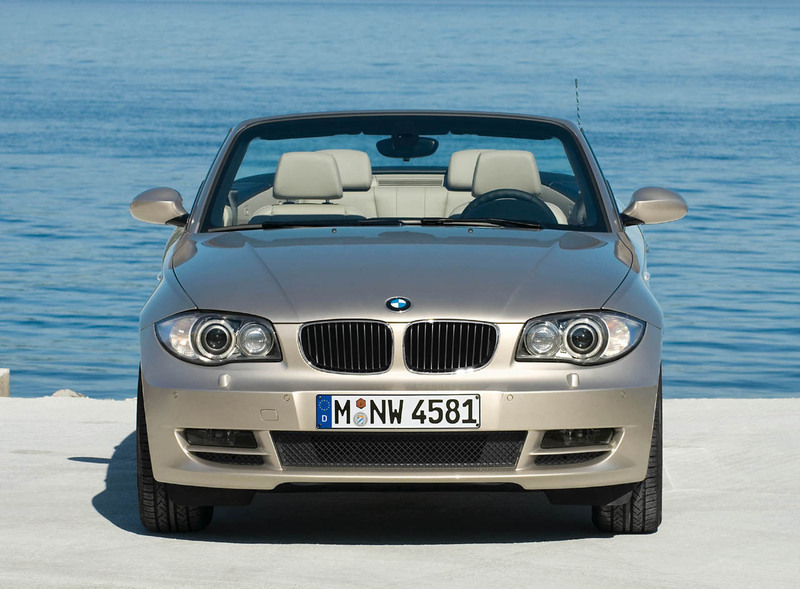 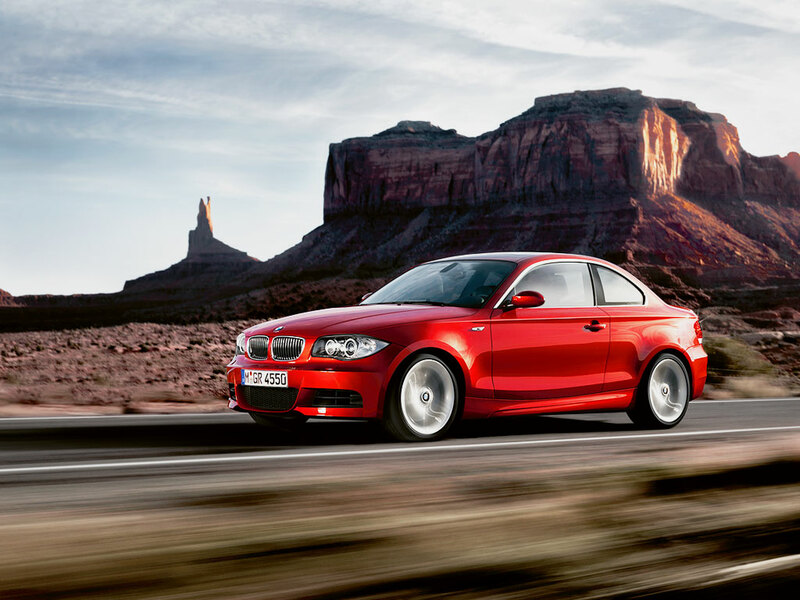 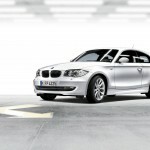 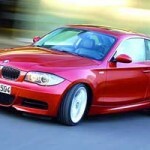 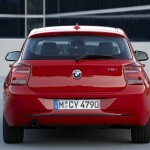 BMW 1 Series was born in late 2004 and is the second most successful model for BMW. 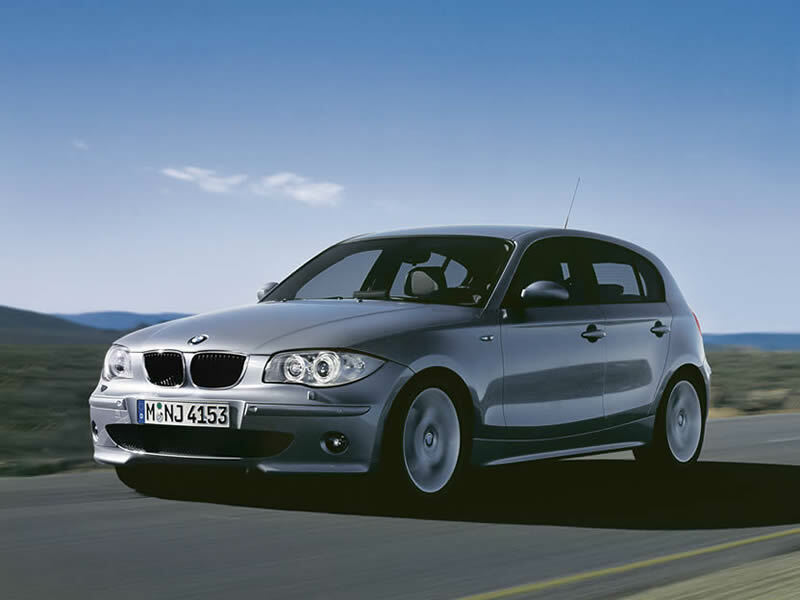 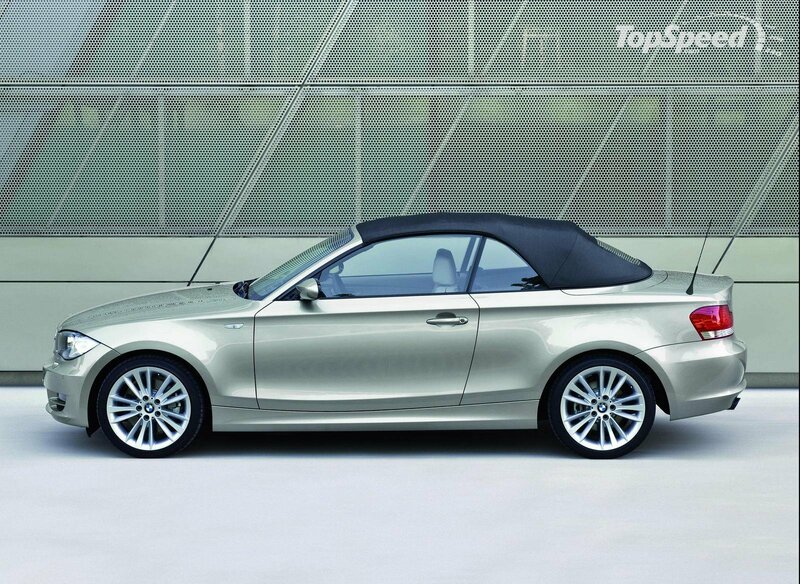 BMW 1 Series is manufactured in three versions, namely the BMW 1 Series hatchback since 2004 (5 door – codenamed E87, 3 door – E81), 2 door coupe (E82) since 2007, respectively 2 door convertible (E88) since 2008. 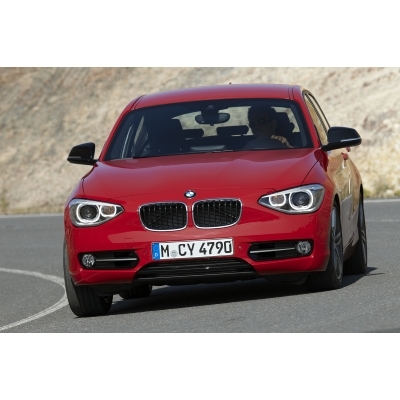 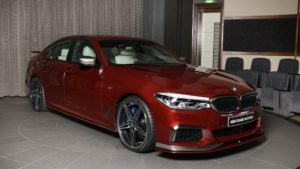 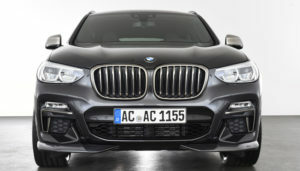 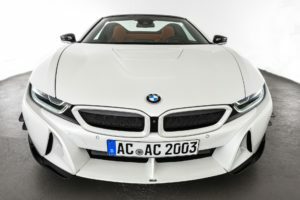 BMW offers the following engines for BMW 1 Series: 1.6 liter (116i, 118i), 2 liter (116d, 116i, 118d, 118i, 120d, 120i), 2 liter twin-turbo (123d), 3.0 liter single turbo (125i, 128i, 130i), 3 liter twin-turbo (135i). 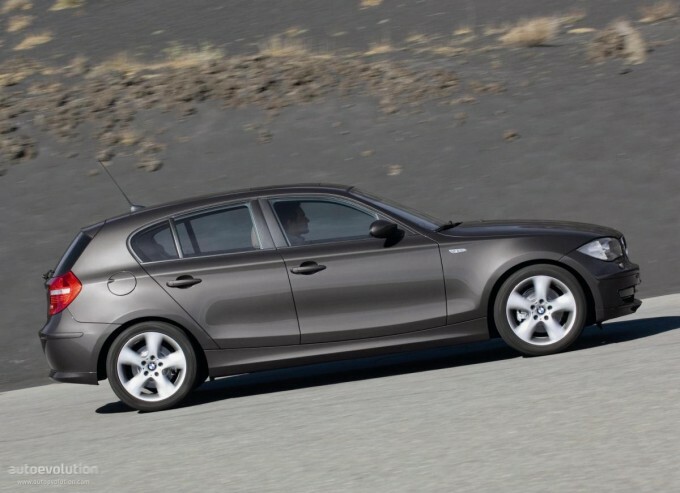 The most powerful engine is the 3.0-liter twin-turbo under the hood of the BMW 135i and have a fascinating acceleration of 5.3 s (0-100km/h). 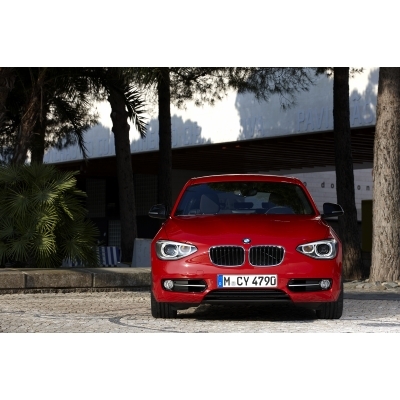 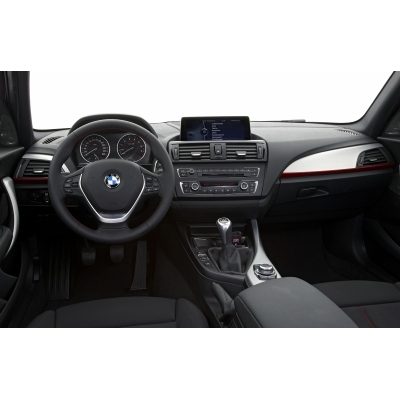 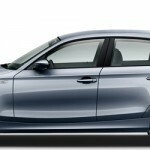 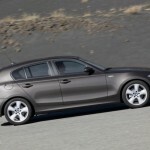 BMW offers four transmissions for BMW 1 Series, namely: 6 speed manual and automatic, 7 speed dual-clutch and 8 speed automatic. 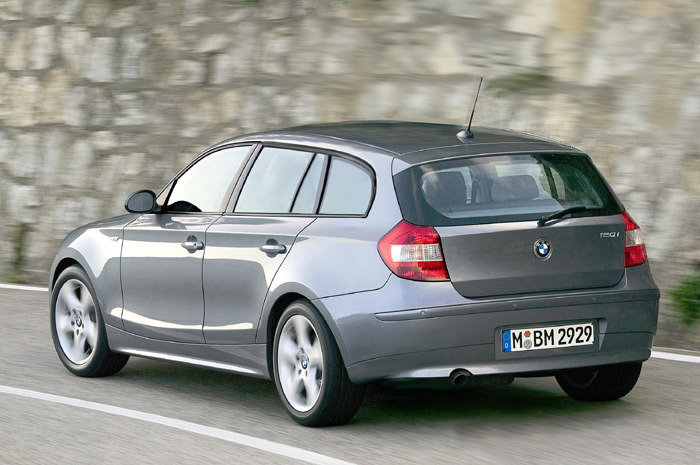 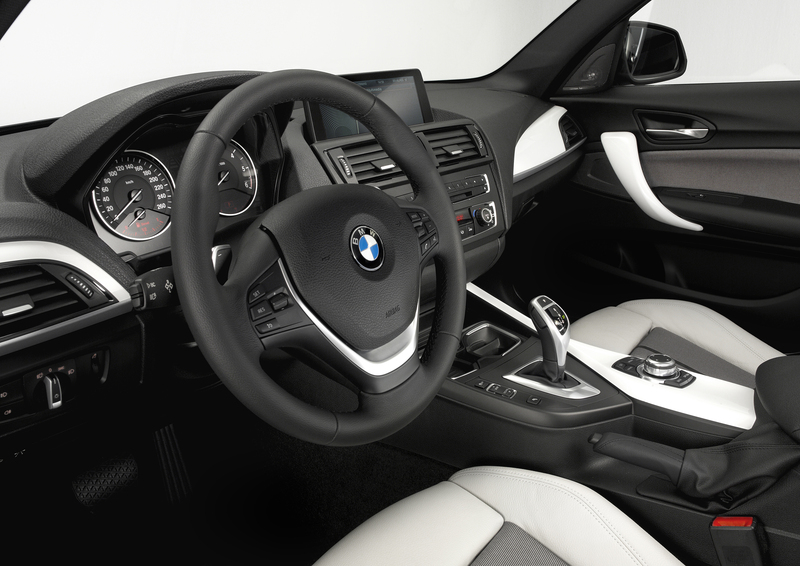 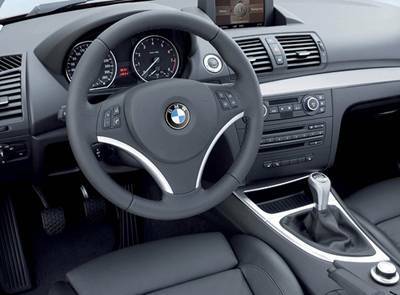 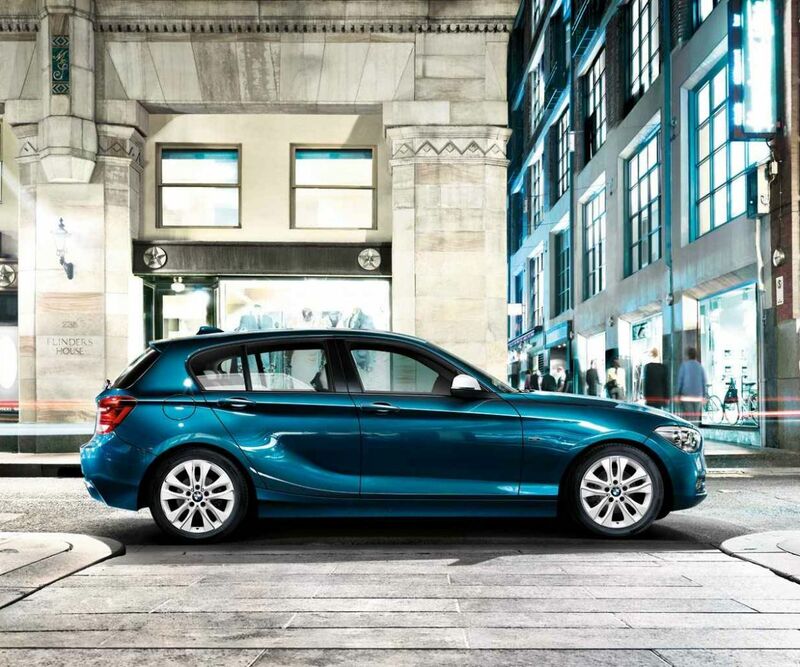 The new BMW 1 Series model is codenamed F20 and was officially introduced on 5 June 2011 and offers two options for transmission: 6 speed manual / 8 speed automatic. 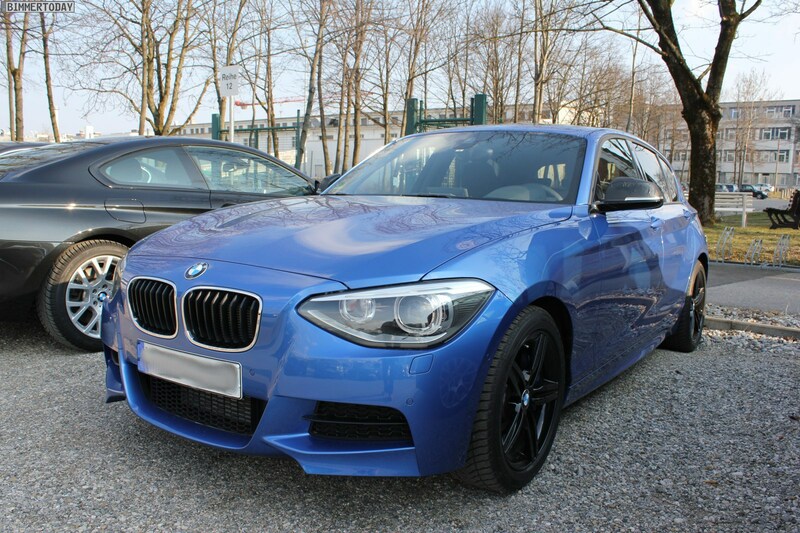 BMW 1 Series is the second best selling BMW model after BMW 3 Series and the price of the cheapest 1 Series is 23.000 euros for BMW 116i.